All those insects have association to specific season strongly. A week ago in Japan, I heard a lot of sound of Cicada, sound like strong squall, even in a small park in town. Today I realised that no sound of cicada, and Red Dragonfly, a sympol of autumn, was elegantly flew in front of me. Owl is turning Switch Off and Atelidae is hanging on cord to pull the Light Out. Straight forward and appearing design to announce this campagne for environmental action. Mixed to methods of photogravure print and Intaglio, this set of express delicate texture of different aninals – rare species of Japan in 1976. The Iriomote Wild Cat of first stamp is now critically endangered. Ryukyu Leaf Turtle is endangered as well. The frog is surviving all right! Cow or bull? Ayway, I found a lot of nice posters of this artist, then recoginised that I saw his works many times in French pulications. This blog Books by its Cover is nice finding in the search of his name. 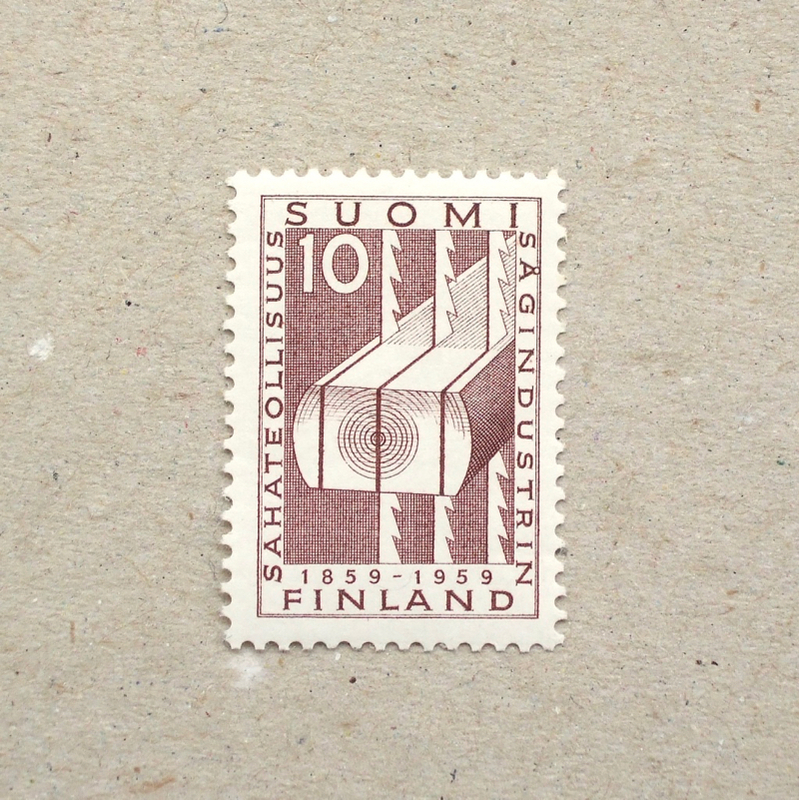 The stamp shows the crossing point in the history when man-powered postal delivery was taken over by motorbike and car. It looks for me, bicycle man is rewarded his service of depicted in front. Famous illustration from British stories for children. From top ‘Alice’s Adventure in Wonderland’ by Lewis Carroll ( illustration by John Tenniel ), ‘The Wind in the Willows’ by Kenneth Grahame ( illustration by Ernest H Shepard ), ‘Winnie-the-Pooh’ by A. A. Milne ( illustration by Ernest H Shepard )and ‘The Tale of Peter Rabbit’ by Beatrix Potter. I like their restricted sweetness and balance between colours and White. Very stylishly British. I am the real observer of the change of tase in Brintain. When I first arrived in London in 1992, there were a few good Japanese restaurants and only one cafe where you can drink strong espresso. After 17 years the situation is dramatically changed and my eating & cafe life is improved enomously. These mixture of ethnicity in stamps are very contemporary politically correct in Britain. Same time to the previous post, history of German bicycle, Berlin post issued these 4. Featuring German made machine only, starting from bone shaker by Büssing-Rad in 1868 to 1925 Opel-Rennard racing bike. Lady’s bike by Jaray-Rad in 1925 looks very odd and I cannot work out how it was peddaled even if I see picture of it. It seems most of gentlemen cyclists had moustache in Germany. Evolution of bicycle made in Germany from 1817 Hobby Horse to 1888 lady’s tricycle. Japanese sweet, together with bamboo whisk for Tea Ceremory. Rather old fashioned, nicely Intaglio printed ceramic tea pot and statue. I like this kind of simplicity a lot. 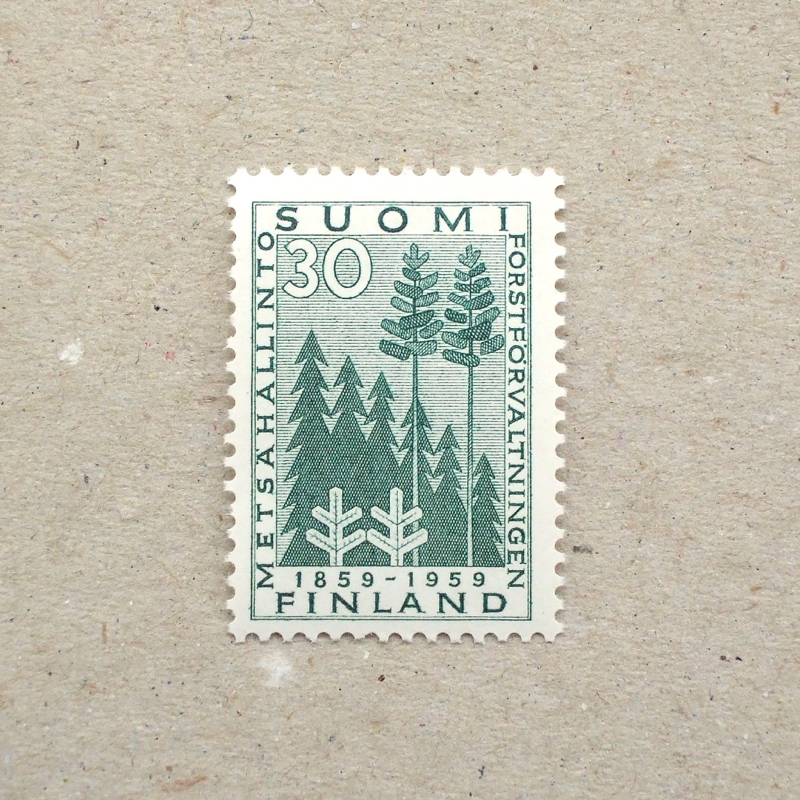 This Australian modernist woman photographer was 80 years old when this stamp was issued. Very nice way to celebrate history of photography and also achievement of a pioneer female photographer. Celebrating 100 years of wood industry. Simple, clean and beautifully expressive. My translator says New City, but yet to search. It seems celebrating 50 years of a place, where an old wooden windmill is and has Two Fish coat of arms. 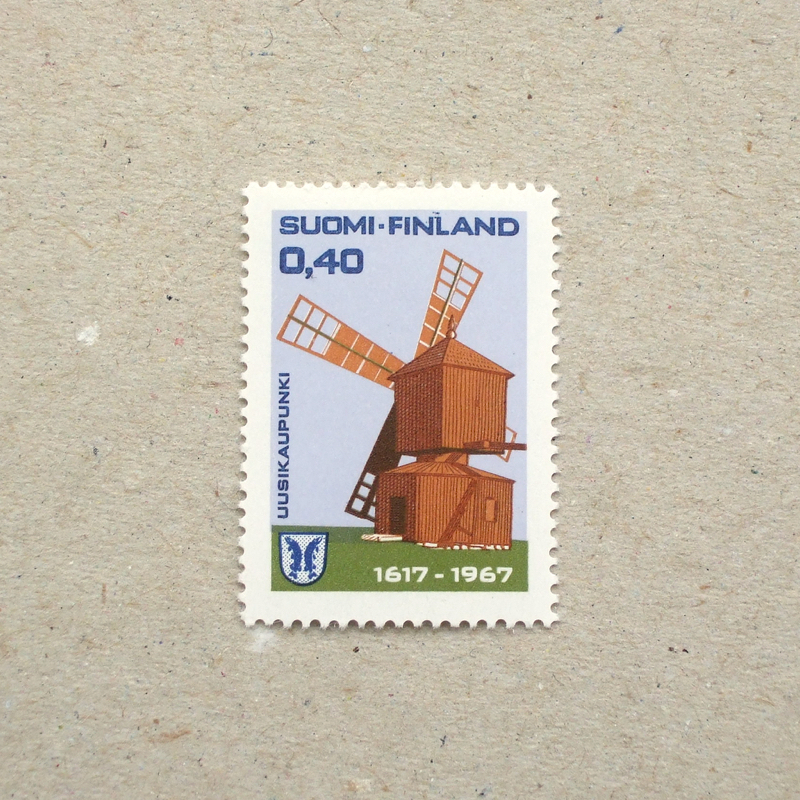 This series of stamps must be depicting the history of wind turbine, as traditional windmills must have invented a lot earlier than 1891. I was impressed by the view of wind turbines built long line in the sea, when airplane approached to Danish coast – as the 4th stamp depicts. I like this contrast between latest technogoly and traditional Intaglio print. I think this is promoting animal welfare, but not really sure. 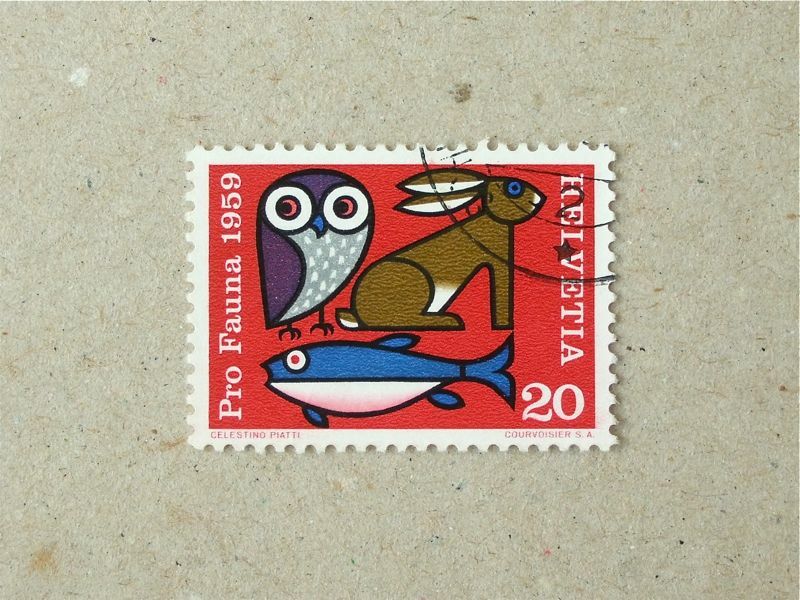 Illustrated Owl is lovely. Ride your bicycle on your own, not taking passenger on the back rack – I think this is what the top stamp says. Right? Second one is clear – drink or drive. Rare female bicycle racer is pictured on stamp. I had guessed that they celebrated a medal by Czech athlete, but I did not find any record of it in Cycling at the 2004 Summer Olympics. Mysterious.